For most of us, the end of August signifies the end of the holidays. But that's no reason to forget our boho, feminine hairstyles. Quite the opposite in fact! For a successful return to the office, the braid for long hair is your answer. Spiced up with a black bandeau, this hairstyle offers a look that is both innocent and romantic. Forget all the extravagance that came with summer, this month you want to be wearing something minimalist and accessible. 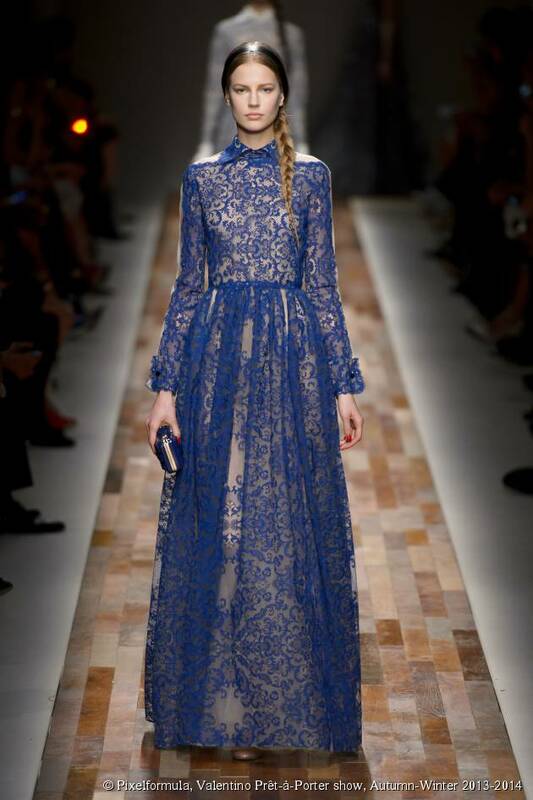 To create the hairstyle seen on the Valentino catwalk, create a neat centre parting. Gather all of your hair on the left-hand side and create a loose, traditional braid. Make sure no hairs escape, you want it to look nice and neat. Secure the braid at the ends. Once you're done, apply a layer of hairspray across the style. The black bandeau worn in the centre of the head gives the hairstyle its youthful touch. Take a black ribbon, wrap it around your head over the top of your ears and secure under your braid to hide the ends.